The indoctrination of manned turrets fastens another dimension into the game. 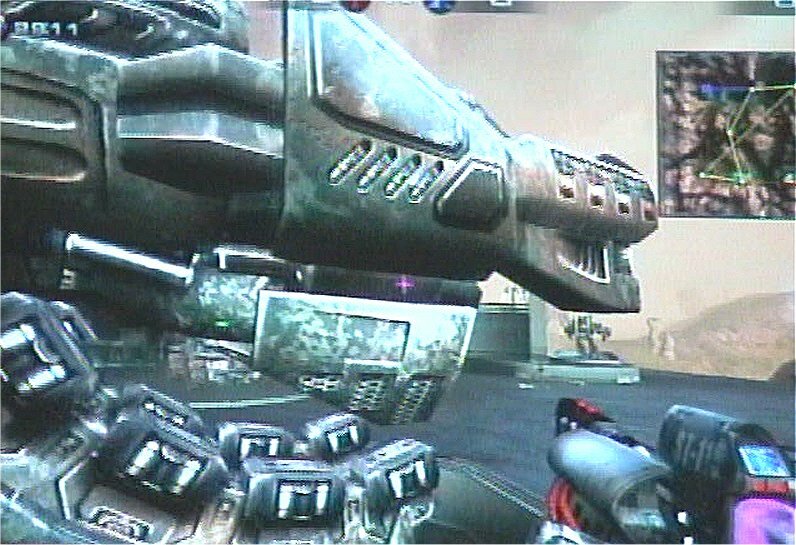 UT2004 will supply warriors with four types of well-designed mechanized parapets; the laser, minigun, ball (shock), link--that repairs as well as destroys, and the Ion. The turrets are very useful defensive mechanisms; however they have enough weaknesses to prevent the resistance from obtaining definitive supremacy during battles. The turrets are stationary and, in the current maps, wide open to offensive counter attacks. Epic did a great job with the placement of the turrets, something map makers will need to remember when they create new custom maps. Yet even if a diabolical map maker favors the defense, the projectiles don't travel at high-speeds; thus allowing the enemy an opportunity to evade the incoming devastation. Add in the voice chat option and players can tactically deter their team mates from potential harm and ambushes from the high flying vehicles like the Raptor. We have a revolution! Voice chat was widely used by clans vying for the top spot in leagues. Epic finally integrated this much needed tool into UT2004. In the LAN environment, voice chat worked flawlessly. When activated, the game volume slightly lowers so the player can easily comprehend the broadcast. Voice chat allows for individuals to join a public, private, and team (as in Defense/Offense) channels. Another exciting feature this tool offers is the ability to control bots using voice activated commands. By verbally issuing the command "Alpha", the bots will initiated the corresponding task (whether it be attack, defend or whatever). Playing around with voice activated commands against bots won't keep the die hard online gamer captivated for too long, but this does give mod creators something new to include in their upcoming mods. I'm sure a mod team will create an environment where the player verbally chats with headquarters and easily issues commands or requests. Team games will enjoy the integrated voice chat feature and finally know if that player with a girl's name is really...a girl...heh. As I stated, voice chat worked great during the LAN, but I'm not too sure how well this will work online, over the internet. 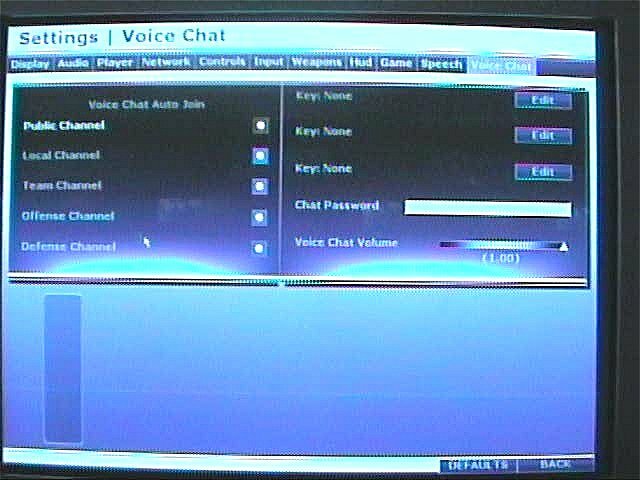 Lag was always a problem with most voice chat programs and I didn't notice an option for a dedicated voice chat server. As it is now, it appears voice chat is totally client side, but I could be mistaken. Either way, UT2004 has more bells and whistles than any other game in its class!